Paula A. Price was elected to the Blue Cross Blue Shield of Massachusetts Board in 2014. As a Director, she helps set the company’s strategy and overall direction. Within a highly competitive and highly regulated business environment, the Board oversees and governs BCBSMA's operations, which includes the provision of health care coverage to individuals and public and private employers. Paula serves as the Vice Chair of the Board’s Audit Committee and serves on the Finance and Business Performance Committee and the Investment Committee. Paula is Chief Financial Officer at Macy’s Inc. She is a past full-time Senior Lecturer at Harvard Business School in the Accounting and Management Unit starting July 2014. She served as the Executive Vice President and Chief Financial Officer of Ahold USA until January 2014, having joined the company in 2009. She was responsible for the company’s U.S. finance, shared services, strategy and planning, real estate development and construction, format, and technology functions. Paula served as the Senior Vice President, Controller and Chief Accounting Officer of CVS Caremark Corporation from 2006‑2008. Prior to that role, she held senior leadership positions at JPMorgan Chase & Co., Prudential Financial, Inc., Diageo plc, Kraft Foods, Inc., Sears, Roebuck & Company and Arthur Andersen LLP. 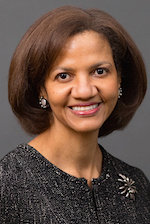 Paula also serves on the Boards of Directors of Accenture, Dollar General, Financial Guaranty Insurance Company and Western Digital; is Chair of the Board of Trustees of Big Brothers Big Sisters of Massachusetts Bay and serves on the Board of Overseers of the Museum of Fine Arts, Boston. Previously, she served on the Board of Directors of Charming Shoppes, Inc. and Board of Trustees of Newton‑Wellesley Hospital. She is a Certified Public Accountant and qualified audit committee expert as defined by the SEC. Paula received a Master of Business Administration degree in Finance and Strategy from University of Chicago Booth School and Bachelor of Science degree in Accountancy from DePaul University.